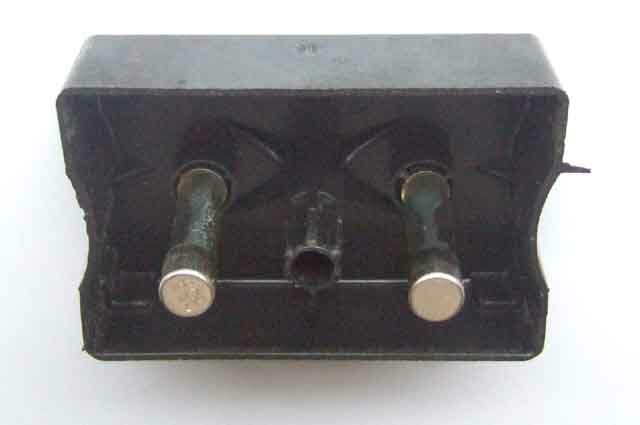 The 2-fuse fusebox, with the six spades for the green wires shown bottom left. These six spades should point backwards, which should put that fuse in the lower of the two positions. The white wires go on the front of that fuse, the purple on the back of the upper fuse, and the brown on the front of the upper fuse. 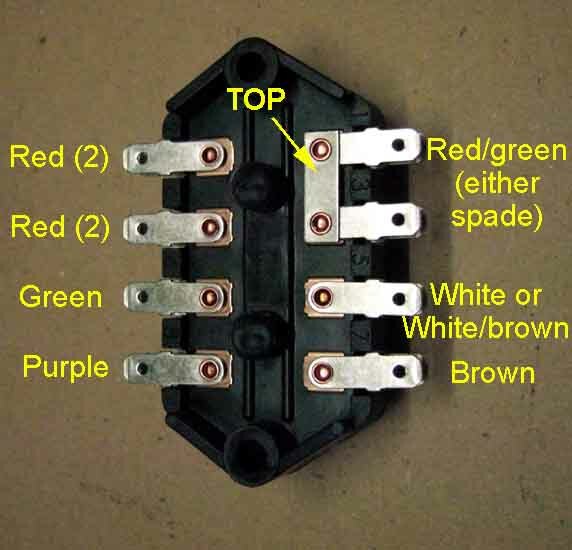 The 4-fuse fusebox showing the orientation and wire colours from the rear. Make sure the link between terminals 1 and 3 goes at the top front. The 'correct' position for the red/green is shown, but electrically it doesn't matter which of the top two front spades it goes on. 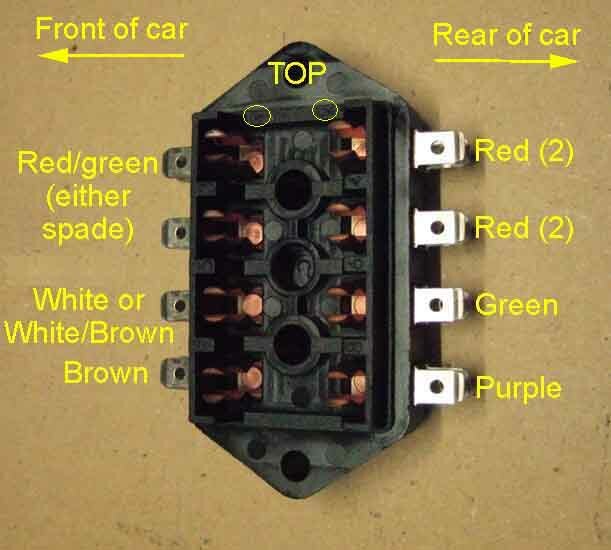 Strictly speaking the red wires for the left-hand side of the car go on the top fuse, but electrically it doesn't matter if the left and right sides are reversed. Some white wires changed to white/brown with the introduction of the ignition relay for the 77 model year. 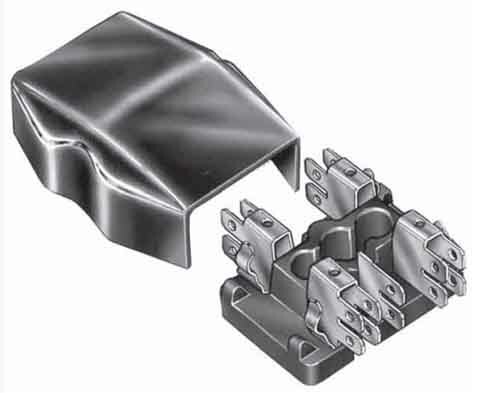 Showing the orientation and wire colours from the front. Terminal numbers are visible when fitted, 1 and 2 (circled) should be at the top. 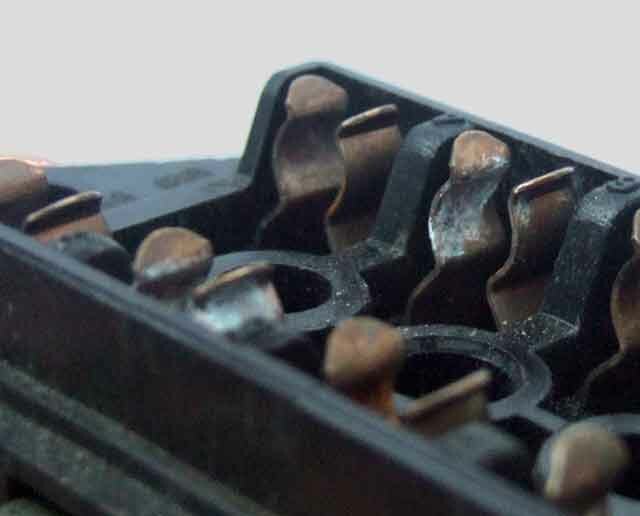 Fusebox cover with spare fuses.